Can’t get fresher than this! 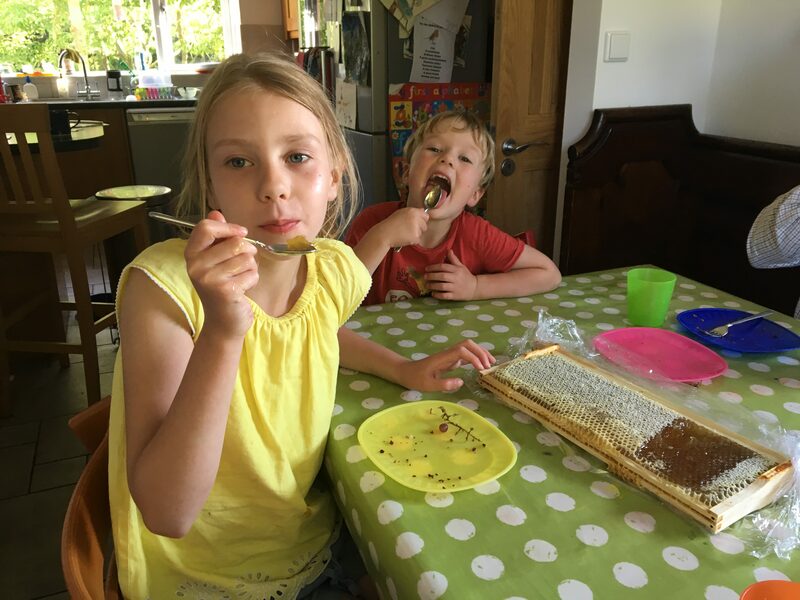 During the last inspection the children saw how much honey the bees were putting away in the supers so we decided to take a frame out and enjoy some fresh honey for breakfast :-). Very happy children! The frame also got taken in for a show and tell session at the local infant school. The whole class was fascinated and asked a lot of questions (luckily staying within my very limited knowledge).